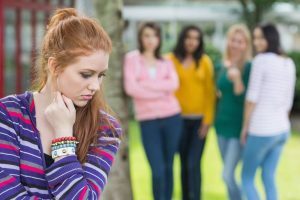 Most people think that peer pressure only affects adolescents and teenagers. This is far from the truth. It can affect anyone at any age group. The most common type of peer pressure is that which promotes drug use. This is very common in adults who have a drug addiction and have undergone rehabilitation in the past. Whether a person is a teenager at a party or an adult relaxing and enjoying a Sunday afternoon with his or her friends, gatherings filled with family and friends who are using various drugs creates an atmosphere of peer pressure that makes it harder to resist drugs. The good thing is that there are ways of avoiding such peer pressure like situations. 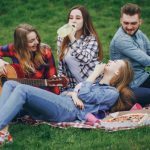 You could implement various techniques to make sure that you stay away from drugs, even when you are with your peers. This read recognizes that it is not easy to fight against peer pressure especially if the person cannot identify it. This is why a person first needs to understand the meaning of peer pressure. Peer pressure is a situation where a person feels like they are pushed to commit to rush decisions because of the influence of the people within their age group. They feel as though if they do not follow through with a rush decision, then their peers are going to disregard them. Most of the time, in a situation where people follow through with these decisions they know that their decisions have great consequences but they go ahead with them anyway. Direct peer pressure- This is the most common form. It takes the form of friends and family members pressuring a person to do something and making them feel inferior for not doing it. Indirect peer pressure- This could be unspoken. It takes place by implication. People who are using drugs regularly could surround a drug abuser. This leads them to feel the need to revert to their ways. As you can see, the other users may not be encouraging this person to join in the fun but he does anyway. This is why people who are in the same environment as a former user or potential drug abuser need to be mindful of their actions. It is very clear that peer pressure can come from the immediate surroundings of a person. Below is a guide on how to combat peer pressure when you encounter it. This does not have to relate to drugs specifically. It deals with combating any form of peer pressure. 2. Preparing an exit plan: This plan will help you get away from scenarios that might lead to drug use from your peers. It includes coming up with excuses to leave early in case the pressure is too much for them to handle. 3. Bring a friend who can watch over you: This is a very good idea for people who like socializing with their friends and family. Thus, instead of leaving early or coming up with an excuse, the friend could watch over you as you interact with your family. The friend acts as your advocate and gives you support and encouragement. The friend should be a person who does not use drugs. This is because if you use a person who uses drugs then both of you might be derailed into re-using them. 4. Dropping some friends: There are some recovered drug users who have friends that constantly keep pressurizing them to take drugs. A person like this is a source of peer pressure and always has a trick up their sleeves to get you to take some. This friend is a bad influence and you need to consider reducing the amount of time you interact with them. This seems like a very rash decision, but it will benefit your health. Continuous exposure to this relationship could lead to drug addiction or a relapse. However, before you do this make sure that you address the elephant in the room. Try to approach this person and make them understand that their actions are affecting you negatively. Most friends and family often feel guilty at this point, and they take it upon themselves to adjust their behavior when they are around you. On the other hand, some of them fail to realize this, and in such a situation, cutting the ties is quite necessary. 5. Join new peer groups: This could prove to be difficult for antisocial people, but it is a very big step in the right direction. Resist temptation by forming new relationships with your peers. The peers in our group need to be like-minded. 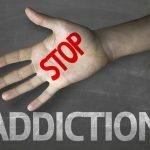 This includes having similar goals of not relapsing back to drug use, not interacting with peer pressure sources, or fighting off their current addictions. The point is the environment needs to be free from drugs. This will give you an entire lifestyle change. If you have a family history f drug use, you could start by interacting and strengthening the relationships with those family members who have been in the same situation you have. Alternatively, there are organizations that provide counseling and create a safe environment for the formation of peer groups. 7. Seek professional aid: These tips are very helpful in managing peer pressure, but this is the most important option. Professional help could broaden the spectrum of how you handle peer pressure. The professional could help you find new tricks on a daily basis. 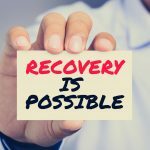 You could find professionals such as this in treatment centers that offer services such as relapse prevention classes, family counseling, substance-free residential living, 12-step program meetings and additional counseling sessions. 8. Practice self-control: Self-control is the only way of dealing with peer pressure. You have to know how to restrain yourself and put yourself first. i. Why do you like smoking? ii. Do your family members know you are smoking? iii. Does the stale breath that comes from constant smoking overwhelm you and your loved ones? iv. How long have you smoked? The person is bound to refrain from interacting with you in the future on drug use. However, this does not work for everyone. 10. Be assertive: This means that you have to learn when to say “no” and how to say it. You need to say it as if you mean it. Say it with authority and convictions such that there is no room for the person to try to persuade you. The more certain you look and are, the less likely the person will try to pressurize you into it. This is why self-control is necessary. 12. Repetition is essential: Do not get tired of stating your position every time it Is Offered. Some friends and family members will feel as if they keep pestering you by offering it, you will give in. Thus, you need to be on the lookout for such friends and family members. Keep affirming your position by repeating the fact that you do not want to take part. 13. Practice assertiveness: If you rarely are assertive, then being assertive will not come easy. You need to practice how to be assertive. You could start by doing it with your loved ones and friends. Ones you are comfortable in a safe environment, it will be easier to do it with other people. 14. Avoid situations that are stressful: Most of the time, peer pressure is very avoidable. You do not have to hang out with that one friend who is a bad influence. You could simply make sure that other people are around to help diffuse such a situation when it happens. Alternatively, you could hang out with them in areas that are drug-free zones. Instead of always being around drugs at parties, you could plan to visit a new place or go for a swim. Stay away from areas that support this peer pressure. 15. Confront the bully: Most peer pressure influences have the support of a pack. Their pack consists of people who always follow the orders of the bully, and they are always going to back them up once they start pressurizing you. You need to confront this peer pressure bully personally. Tell them about your situation. Explain it to them vividly so that they understand where you are coming from. This will get the bully off your case. 16. Consider the outcome: If you are ever cornered into taking drugs, take a moment to visualize the outcome of your actions. That one smoke puff might plunge you into a lifetime of dependency. That one hit of the syringe will affect your entire life forever. In a span of a moment, you might just be destroying your future. Visualizing the outcome will influence your assertiveness. You are more likely not to do it once you realize the effects of your actions. 17. Positive role models: There are no limits; anyone could be your role model as long as you feel like you would want to emulate them. It could be your class leader or a celebrity who overcame peer pressure at some point in their life. Having a role model makes you focus more on your goal of not losing to peer pressure. 18. Do not listen to the lies: You might have heard the age-old lie that “Everyone does it!” These statements are used to make you feel like you are not living life to the fullest. They are aimed at making you feel like you are not up to date with what the current generation is doing. However, this is not the case. 19. Get support from your immediate friends: If you feel like someone is pressuring you in your circle, then chances are that other people feel just as pressured as you do. You could try talking to the other people. You are likely to find one or three people who share the same sentiments. This is very reassuring it could help you address the pressure and provide some support. 20. Release any negative energy: Having negative thoughts is quite normal. You need to remind yourself that you are an amazing person. These words of affirmation go a long way. You need to become your own best friend to help you get through any negative energy from your environment. 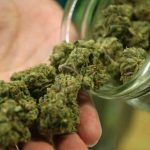 This is because it could lead to depression and anxiety, which are triggers to drug use. 21. Create challenges: If you do not challenge yourself occasionally, then it is time for you to start. Create personal goals that are both short and long-term. This will help you stay focused and away from an idle mind and a drug environment. 22. Watch your energy: The universe is like a mirror, meaning that any energy that you emit towards the universe will reflect back to you. Thus, if you feel pressurized to use drugs within your environment, you need to examine your energy. Probably, you are also pressurizing other people to do things that they do not want to, so they are retaliating by doing the same thing to you. 23. Moods: Are you aware that your moods affect your choices? This plays a big part in helping you fight peer pressure. If you are experiencing a negative mood, then it is very possible that you will not make sensible decisions. When you feel moody, make sure that you stay away from people who might influence you to make the wrong choices. 1. 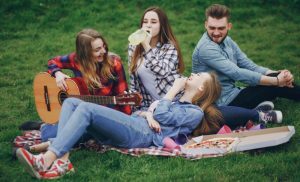 You can start out by calling an intervention that is filled with people who the person considers his or her close friends. Then proceed to explain to the person that all the people in attendance are worried and concerned about the health of this person. Most of the time, this does not work, but it does let the person know that he or she still has a support system even though they are in denial at the time. 2. 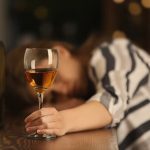 Alternatively, you could seek the aid of the internet and get an alcohol self-assessment platform or that of any other drug. The person can then take the test themselves to help them come to the realization that they are addicts. 3. Seek the help of a professional. The professional might decide to take up the case of helping your loved one. Alternatively, this specialist might suggest the approach and professional that you might want to apply or consult. The professional might help your affected loved one know and learn about anonymous drug addiction groups. 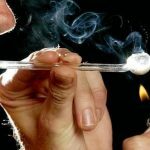 This will help the drug addict come to terms with their current situation. 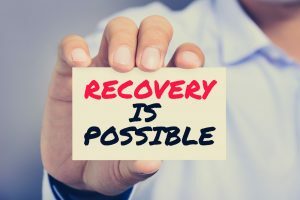 Such mutual help groups promote accountability and support from other people who have recovered and others who are in the process of recovering. 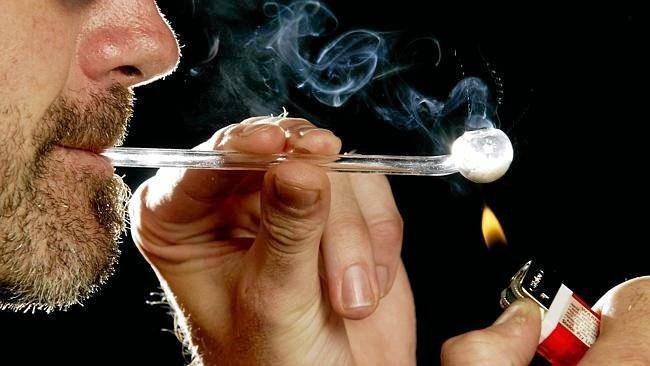 Continuation of drug use even when it is clear that it is deteriorating their health. An example of this is an instance where a person develops liver cirrhosis and continues to drink with complete disregard for their health. The person should have built up a tolerance for various drugs and alcoholic drinks within a minimum span of a year. The person should develop withdrawal symptoms when they reduce or try to stop drug use. Take note that detoxifying is not as easy as it sounds especially to people who are already addicted to drugs. You will need to wean yourself slowly out of the normal drug abuse routine. This is because suddenly changing your normal routine will negatively affect your system and you might end up more addicted than you were before. Relapsing is a great risk at this stage. Start out by reducing your drug or alcohol intake until it reaches a point that your body system does not react negatively if the drug is not introduced into the body.